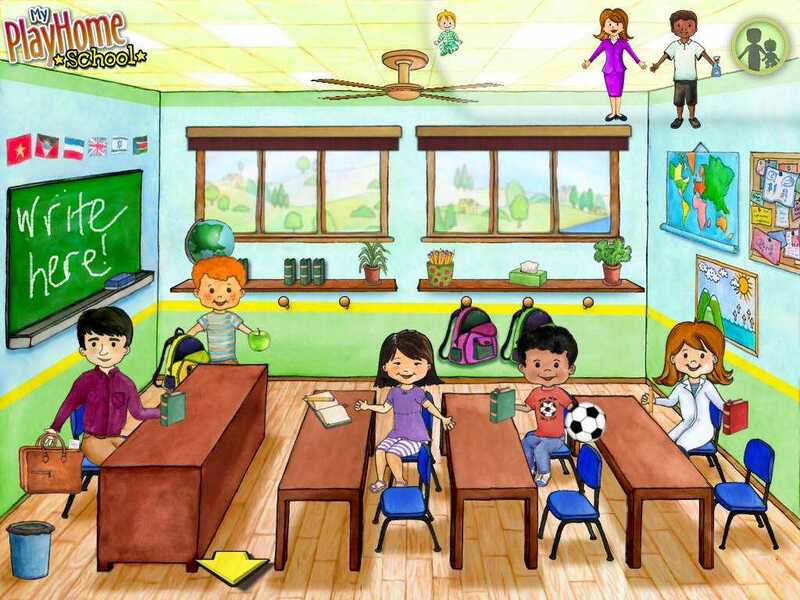 Interactive school setting for a "digital dollhouse" that encourages kids' imaginations and makes budding students more comfortable with classrooms. My PlayHome School is a "digital playset" in a school setting. Kids control the 26 diverse characters by placing them in classrooms, dressing them in lab coats, serving up their lunches, and even setting them on a stage. There are 6 different main rooms to explore: two classrooms, a cafeteria, a science lab, a performing arts room, and the principal's office, plus the main entrance, a janitor's closet, and two bathrooms. The rooms and hallways have interactive elements that kids can tap or drag or give to characters to hold. Kids are meant to explore and discover how to play themselves -- there are no instructions and no ways to go wrong. Kids can follow their instincts, push buttons, pull levers, and just see what happens. 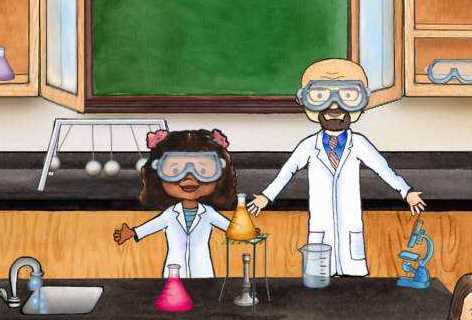 Music-lovers might try tapping the piano keys to see what sounds they make, while budding scientists can dress their characters in lab coats and goggles and then combine chemicals to heat using a Bunsen burner. Many objects have their own sounds, including the piano or even the ceiling fan. 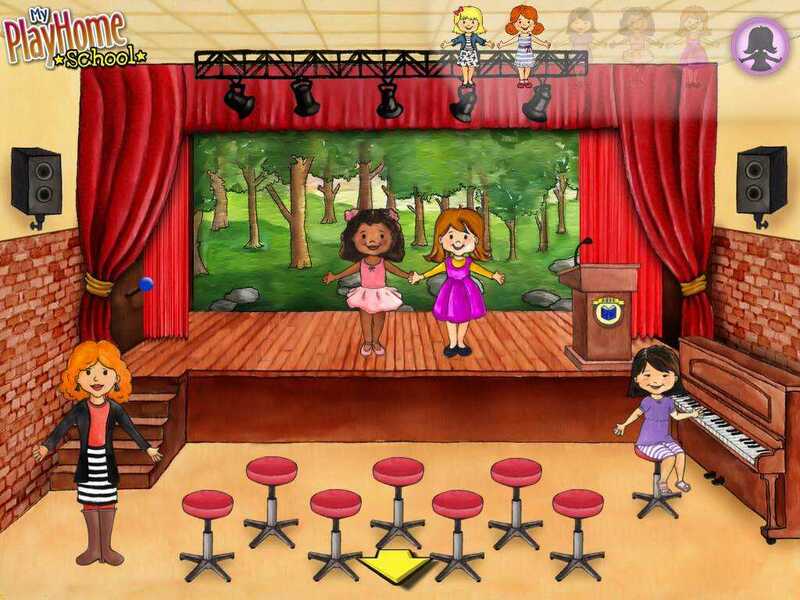 Kids can even use the microphone to make a short announcement over the PA. Players can drag objects to move them around the room or place them in the characters' hands or bags. Characters will hold onto objects and also sit if placed near chairs. The characters will stay put unless kids put them in a different room or choose to "tidy up the school" and start fresh. Digital toys like My PlayHome School really encourage kids to use their imaginations and explore. As kids play more, they'll discover more -- more interactive objects in the rooms and more ways they can dress or place the characters. Since characters hold onto their objects room to room, kids can invent stories as they "play school." We're glad to see there's room for the arts in this school, too. We hope future updates will provide more locations, including a playground for recess. We also want to commend My PlayHome School for the diversity of its characters; and make a few suggestions for how to make this school even more inclusive. We'd love to see characters with physical disabilities -- there's already an elevator ready for them! In addition, three of the boys are wearing sports-related clothing, while only one of the girls is, and it's a ballet outfit. Small details can have big impacts on young minds. We're glad that My PlayHome School values diversity and we hope that new characters will continue this trend. 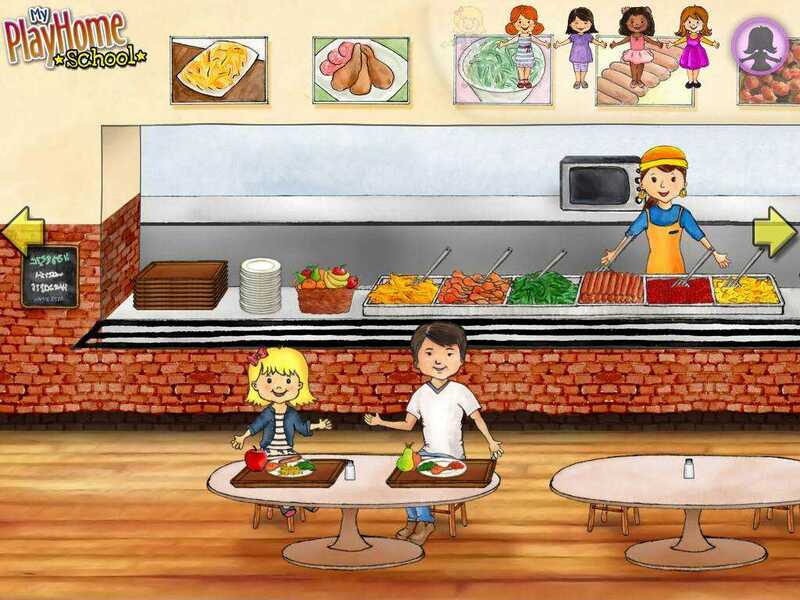 My PlayHome School is perfect for preschoolers who are curious or nervous about school. Being in charge and demystifying rooms like the principal's office will help kids feel more comfortable and confident. 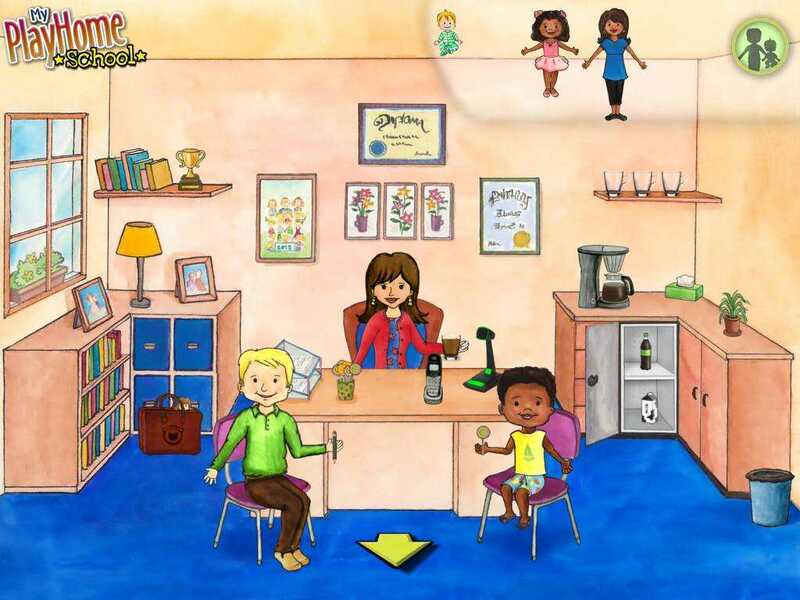 Parents and teachers can use My PlayHome School to talk with kids about what's expected in school and what is likely to happen. This app can also be used by parents and teachers as a great teaching tool for kids with special needs. 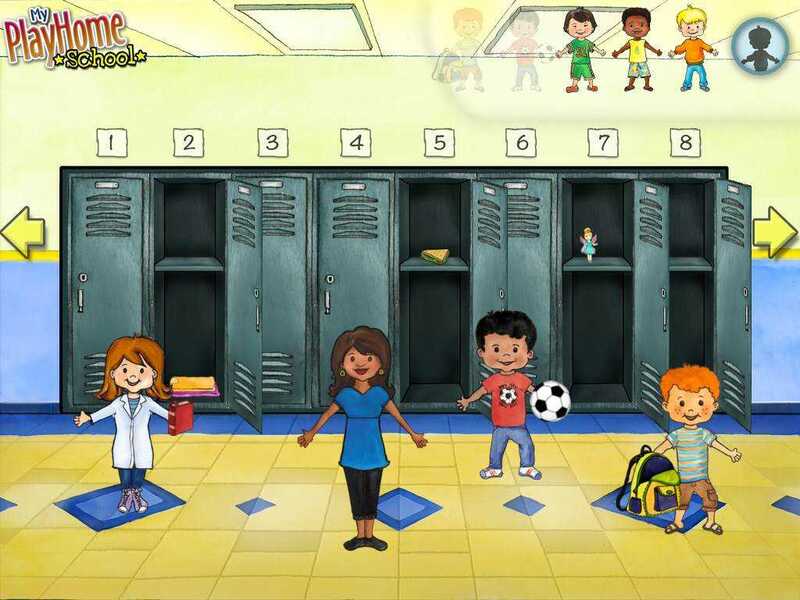 This My PlayHome School app review was written by Liz K. McKinney.